The kids still have a few more weeks of school to finish up before they are out for the summer…this week, we will attend the end of the year music concert, in which my daughter will sing with the chorus. Unfortunately, it’s on the same night as her piano lesson, so I’m not sure when we’ll fit dinner in, but we’ll manage somehow! 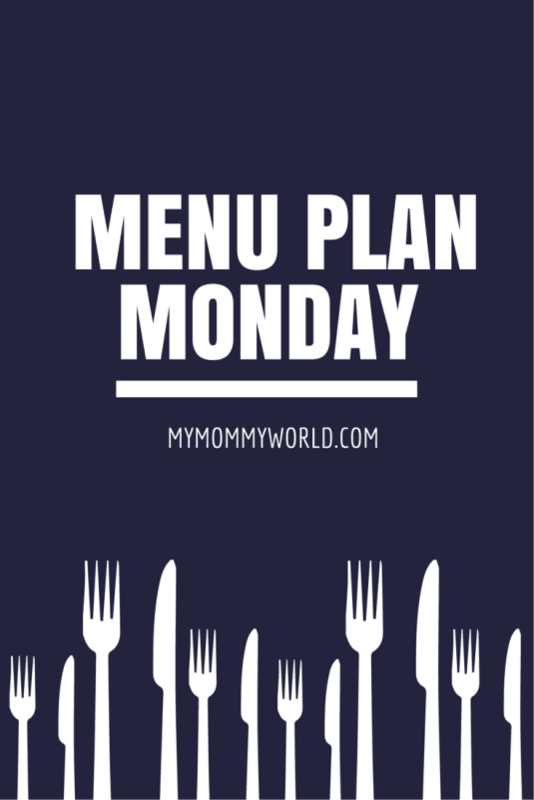 For more inspiration for your own menu, check out the Menu Plan Monday link-up at OrgJunkie or my post on menu planning tips for busy moms. Your menu looks yummy. Have a fun time at the BBQ! Your menu sounds great! That mac n cheese hot dog sounds like something my kids would really love!! I hope your family had a great time at the BBQ today. 🙂 Your menu for the week looks delicious! Thanks Sandra…we did have a good time! The only bad spot was a tick that I found on my son’s back at bath time. Even though he had bug spray on, it still managed to get under his shirt 🙁 The bugs are so bad around here in the warm weather. Hi Kate! Thanks so much for visiting here today 🙂 How fun that you get to travel all over, although I’m sure you do miss things like BBQs from time to time.